The latest cast-off dishes on how visiting Ghost Island was the end of her game, but a new start as a mother. Survivor: Ghost Island promised the failures of castaways past would haunt the game for the new players, and the truth of that promise has never been more evident than with the exit of Stephanie Johnson. 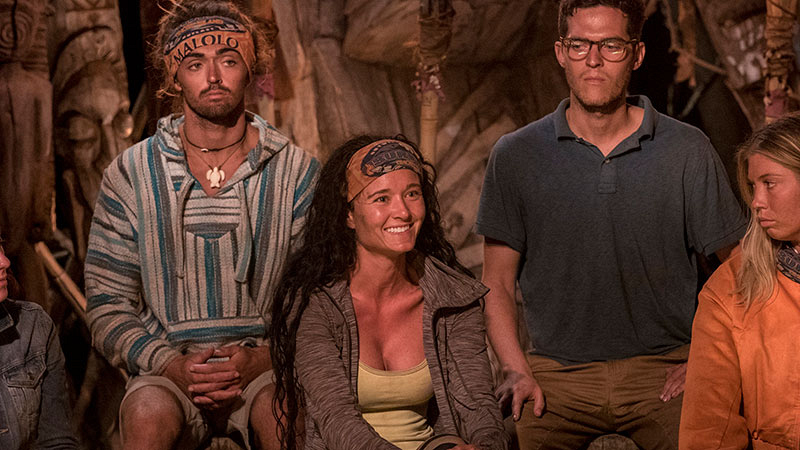 The latest cast-off was sent to the graveyard of Survivor history and came back empty-handed—except for the giant target on her back that ultimately sent her packing. We caught up with the 34-year-old yoga instructor about her time in the game, how it made her a better, more confident mother, and the relationships she forged. During your time on the show, you talked a lot about wanting to play this game for your kids. What was the first thing they said to you when you got back? After I got home and I was able to actually tell them, they were so excited. We've been watching the show together for about three years now, it's a tradition to order pizza and watch. So they were really, really excited that I actually was out there and able to do it. 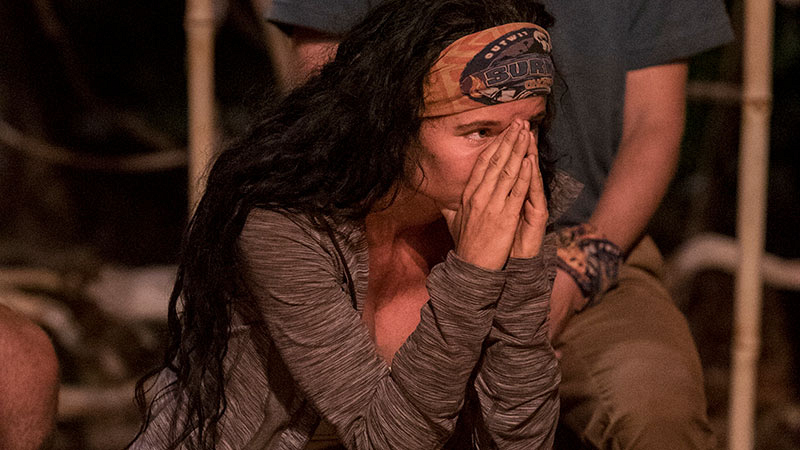 What went through your head when you got to Ghost Island and found out you wouldn't be getting any sort of advantage? Stephanie: I was pretty shocked, to be honest. From my vantage point, Jacob had gone to Ghost Island and he was able to play a game. But then Donathan and Chris weren't on my tribe. I never heard about their experience of having no game to play. So I wasn't even really aware that was an option. I was pretty shocked. I was also devastated. I felt my heart sink. It was very, very heart-wrenching. Do you think things would have turned out differently if you hadn't been the one to go to Ghost Island? Stephanie: I absolutely do. Having that 24 hours of socialization with the Naviti five would have completely changed my game. Michael and Jenna had an advantage in that they were able to plot and strategize and throw my name under the bus. I wasn't there to retaliate or defend myself or say to Michael, "Let's do this!" or say to Jenna, "Let's do that!" I think it was a huge disadvantage that I was gone. That's interesting. It sounds like Ghost Island is more damaging in terms of the time you're away from camp as opposed to the suspicion that it levels against you once you return. Stephanie: Yeah. I think that Ghost Island was definitely damaging to my game overall. It switched, where Kellyn wasn't immune anymore. 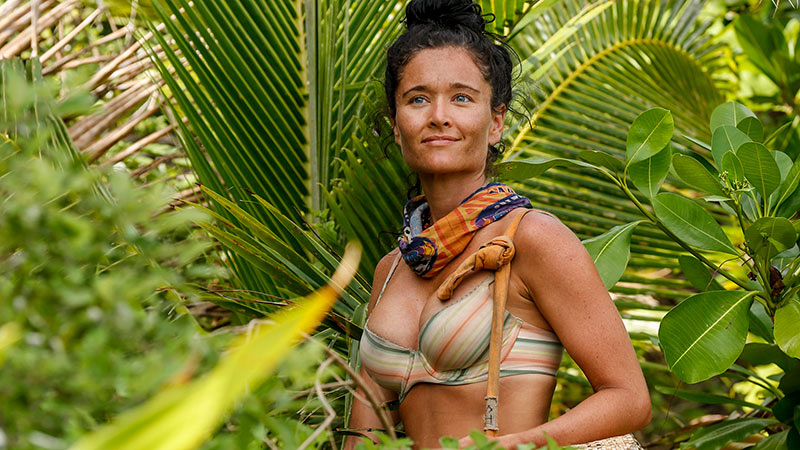 If she had gone to Ghost Island and she was immune, it would have put our vote at 4-4. Or if I went to Ghost Island and I was immune, obviously I'd still be in the game. Not coming back with an advantage was really hard, because I had absolutely nothing to work with. Before Tribal, you tried making good with Bradley. Why do you think he didn't go for it? Stephanie: I think that Bradley kind of got his feelings hurt at the Tribal before because I threw him under the bus quite a bit. Michael and I really went after him and I was definitely calling him and Kellyn out as a power couple, and saying that he was their leader. That the rest of them were just following in his stead. I think that he probably thought I threw him under the bus and I wasn't trustworthy because of it. So I think that's why Bradley was gunning for me. Yours was one of the more emotional Tribals of the season; it's clear it wasn't an easy decision for anyone. Is it tough to keep the personal feelings separate from understanding the strategy, in terms of knowing why you've been voted out? Stephanie: Absolutely. I don't know if you can understand it fully unless you experience how close you come to people. Kellyn was crying last night, Jenna was crying last night. You didn't really see Kellyn and me, but we got really close out there. We were really good friends and we shared a lot of really intimate stories and details. I think it's hard because you become close to these people and you know what it means to them, and then all of a sudden you have to turn on these people. So I think that's why there was so much emotion, especially from Jenna and Kellyn, because we did have these relationships. 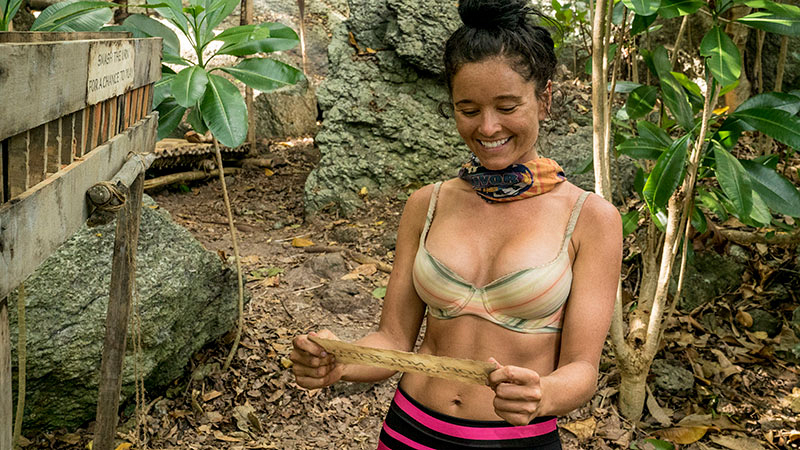 Stephanie: The biggest thing that I learned was... well, when I was at Ghost Island, I really had this epiphany of being a good enough mom. Knowing that in my heart of hearts that I was perfect for my kids because I was their mom. Maybe some people can't relate to that, but I think that any mother can relate to the fact that we're constantly feeling like we're failing our kids. Or that we're disappointed. That we're not doing a good enough job. But out there, when I had all that time to sit and reflect, [I realized] that I actually was a good enough mom. I really believe that when I came home, it completely changed the dynamic I have with my kids. Just knowing that in my core. Stephanie: Honestly, I wouldn't do anything different. I feel like I was there, I was part of some big moves that ultimately didn't work. I was able to experience Ghost Island, even though it was kind of my demise. I wouldn't change anything. I'm just the type of person who lived every single moment out there to the fullest extent and I've built incredible, life-long relationships outside this game. I just don't think there's anything I can see that I really regret or that I would do differently.